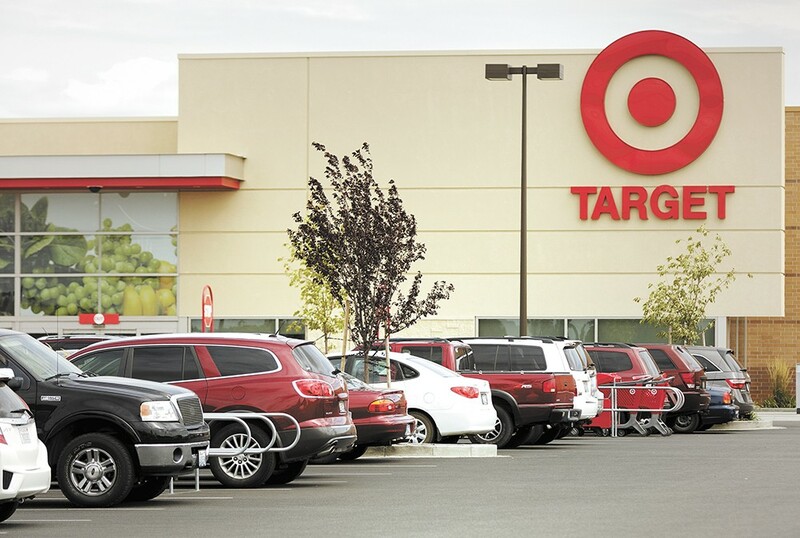 The Target on Spokane's South Hill is often cited as an example of the disconnect between developers, city staff and neighbors. In April, Spokane City Council President Ben Stuckart stood before about 30 lower South Hill residents in the basement of the Woman's Club of Spokane. He was there to speak about the sudden demolition of historic homes, a big-box store being built in a neighborhood, all the cell towers that have sprung up across the city, and what he wanted to do about it. In his hand was a paper listing the 66 local, state and federal agencies that receive a notification whenever a developer wants a land-use change for projects that could alter neighborhoods. "You know who's missing?" he asked the room. "Neighbors." Neighbors, he said, have been left out of the decision-making process of what gets built in their neighborhoods. The situation, according to Stuckart, has created lawsuits and angry residents who might be inclined to support more radical remedies, like the initiative Envision Spokane has qualified for the ballot three times and nearly passed in 2011. Stuckart said he had a solution, an ordinance he and others have spent months working on, that would require the city to give neighborhood councils notification of any large development in their area and respond to their comments. It would also make it easier for neighborhood councils to appeal land-use decisions. As Stuckart made his pitch, "uh-huhs" and "thank yous" arose from the audience. The Spokane Home Builders Association worries that the ordinance will become a tool for neighbors to resist and delay development in their neighborhoods, potentially leading to lawsuits. The association, which has at times been at odds with Stuckart and his allies, also worries that the ordinance will end up undermining a goal that both it and the city council share: denser development in the city. Under the neighborhood notification ordinance, the city would be required to notify neighborhood councils of proposed developments within their borders. The councils, under the ordinance, have 14 days to submit written comments that the city must reply to. "It opens up the dialogue, and lets neighborhoods know about it and enter the conversation, instead of what's been happening," says Stuckart. What's been happening, says Stuckart, is that neighborhoods sometimes don't find out about a project until it's nearly a done deal, resulting in lingering mistrust and triggering lawsuits, like the one Spokane's Southgate neighborhood filed over the development of a Target store. The ordinance clarifies that the city's 27 neighborhood councils have standing, or the legal ability, to appeal land-use decisions made by the city that affect them. Stuckart says that in the past, developers would challenge the standing of neighborhood councils if they appealed a land-use decision. If councils wanted to fight back, says Stuckart, they'd have to hire a lawyer, an expense they typically can't afford. Michael Cathcart, government affairs director for the Spokane Home Builders Association, says his association supports giving neighborhoods advance notification of developments. But giving them standing to appeal land-use decisions, he says, goes too far. He says that neighborhood councils have an advisory role under the city charter. Giving them the ability to challenge land-use decisions, he says, violates the charter and could invite lawsuits. "If you grant this additional role or right [to neighborhood councils], it will incentivize a lot of folks who don't want to see any changes in their neighborhood to join their council to stop land-use projects," says Cathcart. Stuckart says that the ordinance won't aid NIMBY-ism (Not In My Back Yard) in residents, because if a proposed project meets city zoning requirements and is legal, it will overcome an appeal mounted by a neighborhood council. He also argues that if neighborhoods are given notification of a project and the chance to respond to it early on, they'll be less likely to challenge it later. In 2012, the city of Spokane, seeking to prevent sprawl, passed ordinances intended to spur the creation of more infill development, the development or redevelopment of vacant or underused land within the city. Cathcart says his association also wants more infill. But this ordinance, he says, could cause delays resulting in builders shying away from building infills. He says he's heard from some members of his association who say they will only build in the county or Spokane Valley if the ordinance passes. "Our concern is that even if it's a temporary delay, it's going to create an atmosphere where the developers and builders want to avoid the city, because time is money," says Cathcart. Kitty Klitzke, Eastern Washington program director for the growth-management advocacy group Futurewise, says that her organization wouldn't have worked on the ordinance and signed off on it if there was a possibility it would hinder infill development. Klitzke adds that too many Spokanites feel they have no control over developments in their neighborhoods, leaving them inclined to support more radical solutions, specifically Envision Spokane's Community Bill of Rights initiative. Both Klitzke and Stuckart say the initiative nearly passed in 2011, in large part, because of its provision that would give residents direct decision-making power over zoning changes for major developments in their neighborhoods. Kai Huschke, Envision Spokane campaign coordinator, agrees that residents don't have enough say about development, but dismisses Stuckart's solution. "Knowing about development is not the same as being a decision-maker," he says. "It doesn't change anything." On the outskirts of the South Hill, the dust has settled in a neighborhood that Stuckart holds up as a poster child for his ordinance. Ted Teske, chair of the Southgate Neighborhood Council, says that problems started in 2005 when developers rezoned 45 acres to make the neighborhood ready for a Target. But by the time the neighborhood council found out, it was too late for the neighborhood to have much influence. The neighborhood council appealed the decision, with the aid of a lawyer, and filed a lawsuit against the city that was settled in 2009, according to Teske. But in the end the bulldozers came, and the 105,000-square-foot store was built. Teske says it has brought increased traffic and made the character of the neighborhood more suburban. Teske, who calls the proposed ordinance a step in the right direction, doesn't expect it to result in numerous appeals if the city adheres to its zoning ordinances.